Most of the mobile applications are unique in nature and functioning. Thus, choosing the right mobile application development platform is a very crucial and important step for your application’s failure or success. On one side, keep a clear-eyed on the features of a particular mobile platform. 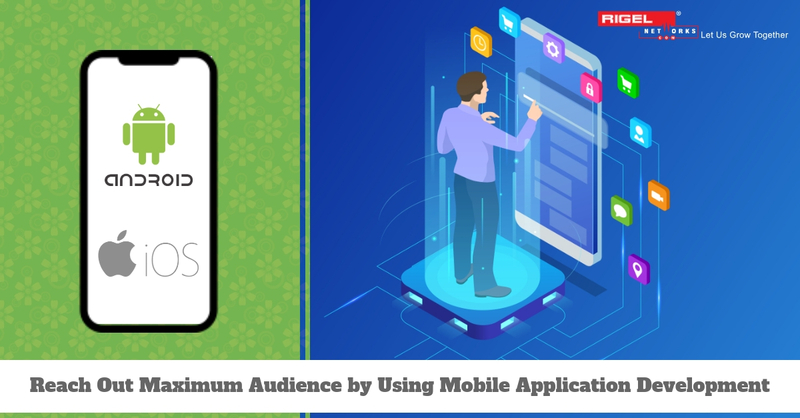 On the other hand, list out other main factors such as your target audience, deciding the type of app, choosing the best operating system, financial factor, etc., which fulfills the app requirements. Here is a list of few most important factors, which will help you with your dilemma to identify and analyze the best mobile application development platform. Knowing your target audience is a primary agenda while choosing the best mobile app development platform. Perform a proper research to analyze all the necessary points and create a customer profile. Do not forget to focus on the geographic location as it plays a key role. The choice of mobile app platform varies depending on the region. For example, Android accounts in India have a roughly 60% of market share whereas it’s 7% for iOS. Similarly, for European countries even, people prefer Android platform over iPhone. In US, the market for iOS is higher. Identify your target audience based on location, age groups, etc. 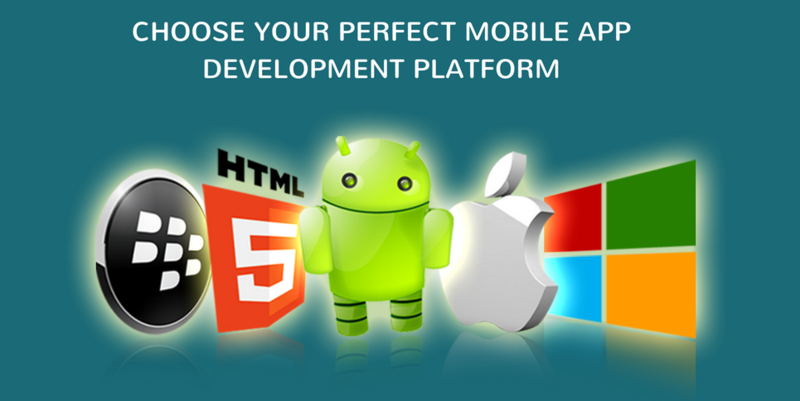 before proceeding to select any mobile application development platform. One of the most important steps before making a final choice of a particular mobile app development platform is to analyze the features included in it. An excellent platform is easy to learn, instinctive, supporting collaborative workflows and smooth processing of approval. It should allow the developers to build a robust app, possesses test-driven features, supports hassle-free debugging, deployment, hosting and maintaining the app throughout a complete lifecycle. Additionally, the mobile app development platform should provide strong features of authentication, push notifications, data storage and easy integration with third-party services. There are 3 types of apps developed by the companies – native, web or hybrid. In most cases, native apps are highly preferred because of their performance. In addition, they can take complete advantage of the features available in the device and OS without any extra costs or limitations. However, its other side includes the high cost in terms of time and resources, as it requires implementation for each target platform. Organizations even choose hybrid app approach as it offers mix advantages of native and web-based apps. These apps are available on app stores and easy to port to any platforms. It is the task of developers to determine which mobile operating system they wish to deploy on the app. According to the App Usage Statistics, the total number of app downloads for Android is far more as compared to iOS app downloads. However, the enterprises usually prefer iOS apps, with a small percent surviving on Windows and BlackBerry apps in some areas. The monetary factor is a necessary thing to look into while finalizing on any mobile app development platform. Think in advance about how much a particular platform is going to cost you to make your investment worthy. Always try to choose the platform that can fetch you good ROI. Sometimes, the apps costing less in the initial stage of development may prove extremely expensive in the long run. In the present competitive market, you can find several mobile application development companies offering expensive as well as budgetary apps depending on the customer’s needs. The deployment method of mobile application development platform is based on either on-premises or cloud-based services. Some companies may offer both. On-premises mobile app platforms utilize more resources and time for implementation but can finally end up with the lower total costing of ownership. Moreover, they help to have proper control over the platform, processes, data security, and authentication. On the other hand, using cloud-based services, the developers can get quick and convenient access to a large assortment of tools and technologies with low startup costing. Thinking to build a mobile app? Do not take the decision in a hurry; refer the above-given factors as well as consider security, compliance and costing in mind and make the best choice of the mobile app platform. For more professional guidance and exclusive mobile app development services, you can contact mobile app development experts of Rigel Networks at presales@rigelnetworks.com. Mobile App Development- What’s trending in 2018?